For over twenty years' we have been supplying businesses with their bottled water coolers, mains fed water coolers and hot water dispensers. 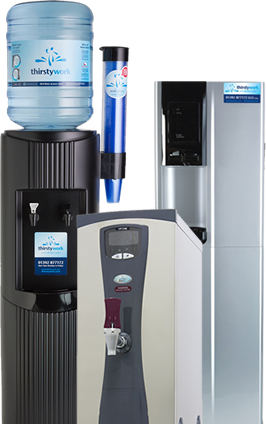 We have grown to become one of largest local water cooler suppliers, offering a full range of bottled and mains fed water coolers, hot water dispensers, and water fountains. Our 100% natural Cornish pure spring water is bottled exclusively for ourselves and as such is not available anywhere else. We are approved by the British Water Cooler Association (BWCA). This gives you the reassurance that our bottling, installation and maintenance procedures are carried out to the highest hygiene and quality standards.